Escape to the countryside for a restful break at Tewkesbury Park Hotel and explore the stunning Cotswolds, including historic castles and the magnificent Abbey. Kick back at this four-star property, practising your swing at the 18-hole golf course and pampering yourself at the delightful spa. Our members can enjoy a "Just Right" Room with dinner on their first night and a traditional Afternoon Tea for two. 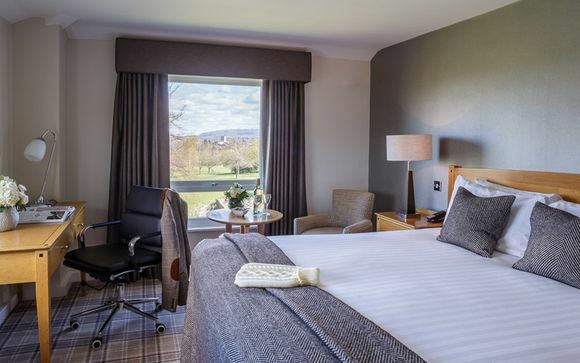 The Tewkesbury Park Hotel near Cheltenham is situated in the exquisite Gloucestershire countryside, within 163 acres of beautiful parkland and sat high above the historic town of Tewkesbury. 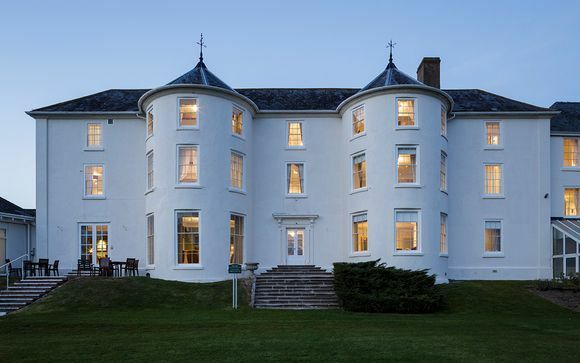 Graced with scenic views of the Cotswolds, the Severn Valley, the Welsh Mountains and the Malverns, the hotel is placed in a lesser discovered area that boasts quaint half-timbered houses and a majestic 12th-century abbey. The warmly welcoming staff and ideal location of this stunning property combine to create a perfect getaway in the heart of England. This elegant former Manor Houseis set high above the historic town of Tewkesbury, with views of the Abbey and the Malvern hills. The excellent range of facilities at Tewkesbury Park Hotel include an 18 hole par 73 Championship course, extensive leisure facilities, indoor heated swimming pool, a beauty salon, all with staff who are dedicated to making your stay a relaxing and enjoyable one. This offer is based on a Just Right Room. These welcoming rooms all enjoy lovely views, modern bathrooms and cosy interiors. Guests will enjoy a restful sleep on King-size Hypnos double beds and can douse themselves in The White Company toiletries. Just for you: Afternoon tea for 2 & dinner (both on the first night of your stay). 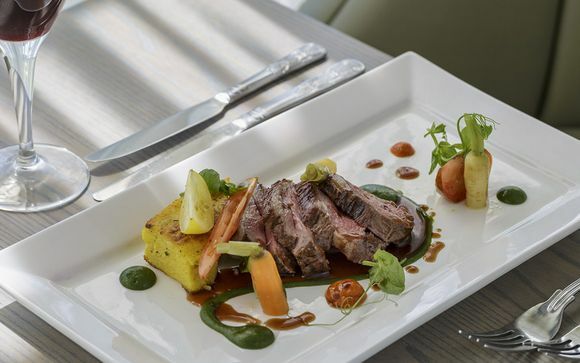 Tewkesbury Park Hotel has two separate dining experiences and the team of experienced chefs create exciting, high-quality food every day. Sourcing food locally is all part of going that bit further to create the perfect dining experience! A classic Afternoon Tea is also executed to perfection, with sweet and savoury treats and accompanying teas creating a quintessentially British experience. Relaxing at the Tewkesbury Park Hotel is no hard task, with tended grounds surrounding it, and the verdant countryside spread out before you, as if this didn't sound relaxing enough, you can take advantage of the professionally staffed spa and health club, which is set within Tewkesbury Park's 176 acres of picturesque parkland and is the perfect place to retreat, relax and unwind, work on your fitness and indulge and pamper yourself. The tranquil location will ensure you will feel a million miles away from the everyday stresses of life and you will find everything you need to enhance your well-being and awaken your senses. 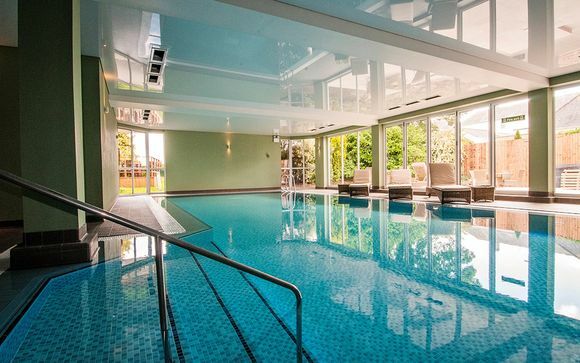 The extensive Health Club is available throughout your stay and facilities include a heated indoor swimming pool, sauna, steam room, spa pool, fully equipped gym, tennis and squash courts. If simply relaxing isn't your thing, you may also enjoy the 18 hole, Par 3 Championship golf course. The course is set in the wonderful surroundings of the Gloucestershire countryside. It boasts breathtaking views up to the Malvern Hills, across the Cotswolds and over the town itself, particularly from the Spikes Bar at the end of the round. 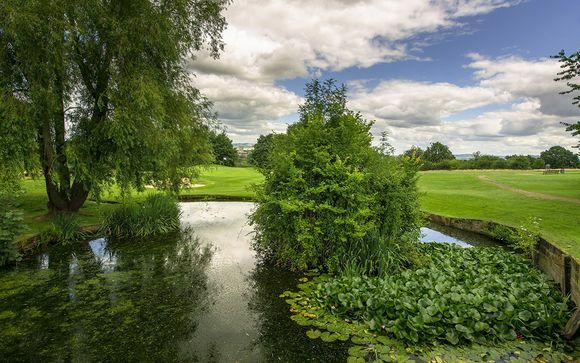 The Par 3 course has some classic mature features, impressive greens and testing water hazards and is based in the grounds of the impressive hotel. Directions to your hotel: Travelling via the M5 motorway, exit at Junction 9 and at the roundabout turn onto Ashchurch Road (A438), signed Tewkesbury. Continue to follow the A438 into Tewkesbury town centre. At the roundabout take the first exit onto Church Street. Continue onto Gloucester Road and then turn right onto Lincoln Green Road. The hotel’s entrance is just a short distance ahead.